It's been a while since we heard from our Winston-Salem, NC Ambassador, and that's because Laura Patterson has been very very busy teaching people how to play our game. Every Wednesday, during the month of August, from 1-3 pm she was introducing pickleball to brand new players at the Winston-Salem Gateway YWCA. And on Friday, September 2nd with a friend from Tenessee who wanted to learn the game, she stopped by to play with the group at the Senior Culter Center in High Point, NC. She introducecd these folks back in November of 2010 and today they are playing every Wednesday and Friday. Unfortunately they are still playing on modified courts with modifed nets, but the Director has promised to now invest in two USAPA nets. Needless to say, her friend loved the game and vowed that she was going to find out if/where it might be played back home in Tennessee. 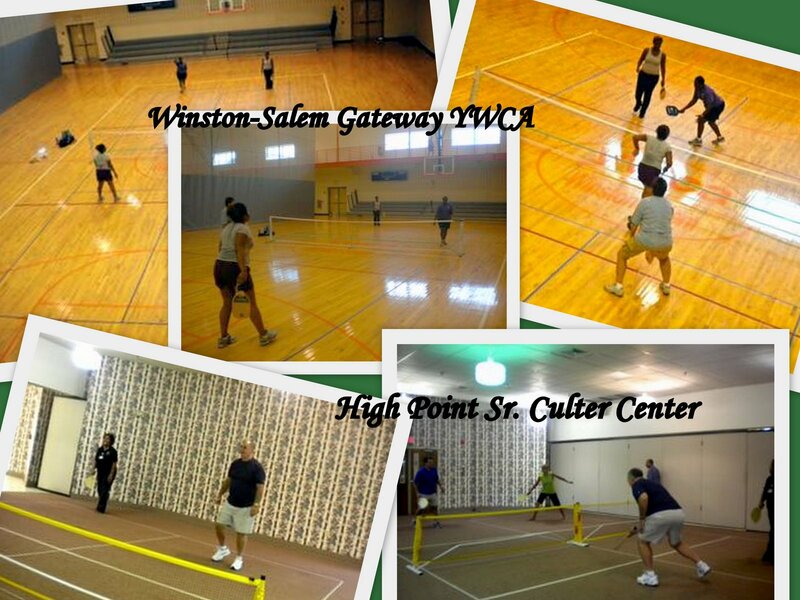 Also at the Center that day were to two staff members fom the YMCA in Greensboro, NC. They had stopped by to see what the game was all about and their timing was perfect! After Laura got them on the courts, like everyone else, they were hooked. They invitedLaura to Greensboro to demonstrate and introduce the game to potential players there. Next on Laura's agenda is to get a letter out to the local high schools and see if she can do a few demonstrations there. And she'll be making the trip again this year to the USAPA Nationals. Good Luck Laura!! !